On 11-12 October 2018, Minsk hosted the 9th meeting of the subcommission on military-technical cooperation of the Intergovernmental Belarus-Kazakhstan Commission on Trade and Economic Cooperation (hereinafter referred to as the subcommission). The meeting was attended by members of the Belarusian and Kazakhstani parts of the subcommission, representatives of ministries, departments, organisations of Belarus and Kazakhstan. Opening the 9th meeting of the subcommission on 12 October, Dmitry Pantus, Deputy Chairman of the Belarusian State Military Industrial Committee chairman of the Belarusian part of the subcommission, summed up the work of the expert group and focused on the most important issues on the meeting agenda. According to Dmitry Pantus, the parties gave a positive assessment of the current state of military-technical cooperation between the two countries, found common ground on all issues and identified the order and promising directions of development. In his turn, Amaniyaz Yerzhanov, Vice-Minister of Defence and Aerospace Industry of Kazakhstan and head of the Kazakhstani part of the subcommission, thanked the Belarusian side for the traditionally warm welcome and stressed that military-technical cooperation between Belarus and Kazakhstan has positive dynamics and real prospects for further development, as well as a solid legal and regulatory framework. Effective cooperation chains are being built between Belarusian and Kazakhstani defence companies; assembly production is being developed. At the end of the meeting, a protocol was signed by Dmitry Pantus, Deputy Chairman of the Belarusian State Military Industrial Committee and head of the Belarusian part of the subcommission, and by Amaniyaz Yerzhanov, Vice-Minister of Defence and Aerospace Industry of Kazakhstan and head of the Kazakhstani part of the subcommission. 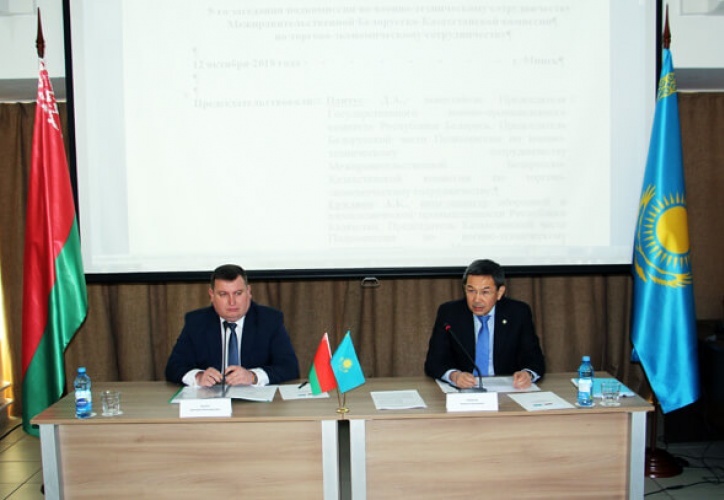 The commission decided to hold the tenth anniversary meeting of the subcommission on military-technical cooperation of the Intergovernmental Belarus-Kazakhstan Commission on Trade and Economic Cooperation in 2019 in Kazakhstan.